The week's account wins and losses, promotions, new hires and layoffs. JWT has said farewell its 74-year relationship with Vegemite. The account will be handled by Melbourne-based agency Thinkerbell. You & Mr Jones has aquired agency Gravity Road and will expand to the US. The group was founded by former Havas Worldwide CEO David Jones. Publicis will create an arm from its SapientRazorfish and Spark Foundry agencies to service Marriott International. The Marriot One Media unit was spawned after a global media review. Venables Bell & Partners (VB&P) has joined forces issue-driven communications firm RALLY to work with a variety of brands and help guide them through social and political landscapes. Pennsylvania-based agency Quench has won creative innovation rights for Sun-Maid. It will take charge of digitial and strategic duties for the firm. MiNT Advertising has been named as creative agency for Hotels.com's gift card program. FCB Global Network created a sub-division called FCB/SIX, which will focus exclusively on back-end infrastructure. House Party, which offers physical brand experiences around fans loyal to a community, has morphed into Ripple Street, a consumer influencer marketing platform. It's built on everyday consumers making recommendations to their friends and families. Walt Disney Studios has appointed Accenture as its innovation partner of the StudioLAB, a new R&D initiative dedicated to re-imagining how people experience entertainment through emerging technology. Jarlsberg Cheese has launched a new brand communication platform and advertising campaign, "Life's Best Served With Jarlsberg!" 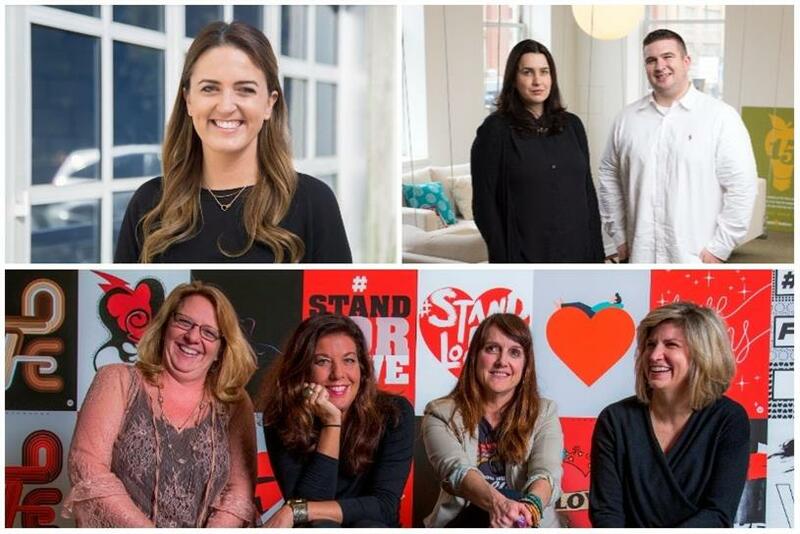 The Martin Agency has doubled the representation of female leaders on its executive committee. Carmina Drummond will take on the newly-created role of chief culture officer and join chief executive officer Kristen Cavallo, chief creative officer Karen Costello, and chief financial officer Janet White. Newly merged Burson Cohn & Wolfe named regional presidents and additional appointments in five different global markets. Chris Foster becomes President, North America. Laura Eder assumes the role of EVP and MD of North America. Matt Stafford becomes President, Asia. Margaret Key will take over as leader of AxiCom, BCW’s global technology brand, across Asia. Scott Wilson becomes President, Europe & Africa. Ramiro Prudencio will take on a leadership role to help build BCW’s Global Corporate Reputation Practice. Sunil John becomes President, Middle East. Francisco Carvalho becomes President, Latin America. Zambezi welcomes Alexandra Gardner as its new director of business development from 72andSunny. It comes around a year after Jean Freeman became CEO of the independent. Zimmerman Advertising has promoted Ronnie Haligaman, who will succeed David Kissell as president. MullenLowe welcomes Kelly Fredrickson as its new president of the flagship office in Boston. Translation has appointed Kenneth Pang as its business lead for the West Coast. Los York has taken on Shane Griffin as partner. The director and visual artist will oversee creative content from the firm's New York office. Smith Brothers agency has hired Dan Monarko as its head of channel strategy and analytics. Mikka Stolte will also join as head of strategy. Mobile advertising technology experts S4M will expand from its headquarters in Paris, France, to America. The US team will be led by Stanislas Coignard, previously chief strategy officer. Johnnie Ingram will slide into the role of creative director at BBH LA. Lauren Leff has been appointed as Video Advertising Bureau's first in-house VP of marketing and communications. Indianapolis-based creative agency Young & Laramore has appointed James Muir as senior digital planner and promoted Morgan Gozdecki to the role of media planner/buyer within its EchoPoint Media devision. Meredith Long will take on the position of chief revenue officer of North America at Quantcast.